Lately, we have been inundated with news of all that is wrong with our world. Sometimes it is hard to maintain a sense of hope and possibility. That is why it is an honor to be investing in good people doing good things all over the globe. This week The Pollination Project made grants to social change agents in 7 countries. We planted seeds of goodness in Kenya, Malawi, Mexico, Vietnam, the US, Montenegro and Australia this week. May each of these seeds grow tall and strong! Reducing Infant Mortality in Rural Kenya. Isaac Gogo and Josephine Auma are providing impoverished expectant mothers in Kenya's rural countryside with valuable medical information in an effort to reduce high rates of female and infant mortality. Through their project Linda Mtoto (Save a Child), Isaac and Josephine send expectant mothers SMS messages containing personalized information about prenatal nutrition, childhood health and disease, and medical appointment reminders. Additionally, the Linda Mtoto program provides training on safe birthing practices and childcare services to midwives and informal caregivers throughout the countryside. 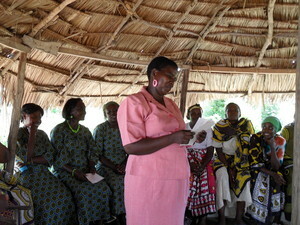 Female Empowerment Workshops in Busia, Kenya. Working with fellow grantee, Lindy Wafula, Proscovia Amukowa is building a thriving community founded on female-empowerment. Every month, Proscovia and Lindy bring women from Busia together to participate in the Leading Ladies Club, a series of empowering workshops on human rights, leadership development, entrepreneurship, networking, and much more. 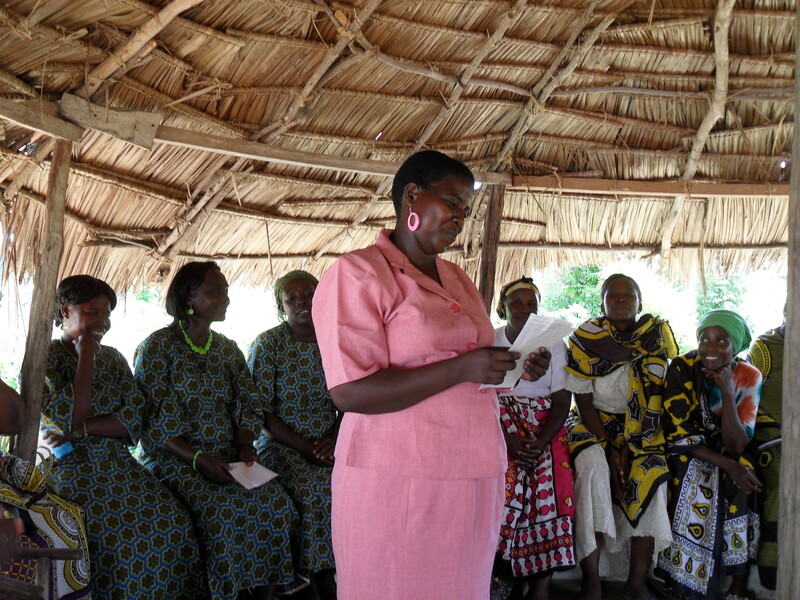 The training offered at the Leading Ladies Club helps local women organize around issues affecting their families. Sustainability and Community Building in Jalisco, Mexico. Julian Calleros Palacios is a visual artist and head of development for Anima Casa Rural, a family-run project in Jalisco, Mexico that promotes arts and culture through sustainable, ecologically-minded practices. In their latest development initiative, Julian is building a traditional wood oven where artists and community members will be able to fire ceramic works of art. The oven will be open to public use and will help to foster an inclusive environment where locals can make crafts while learning about culture in Jalisco and beyond. Animal Rights and the Fight Against Climate Change in Long Beach, CA. Dr. Moses Seenarine is an experienced animal rights advocate and the author of Meat Climate Change: The 2nd Leading Cause of Global Warming. 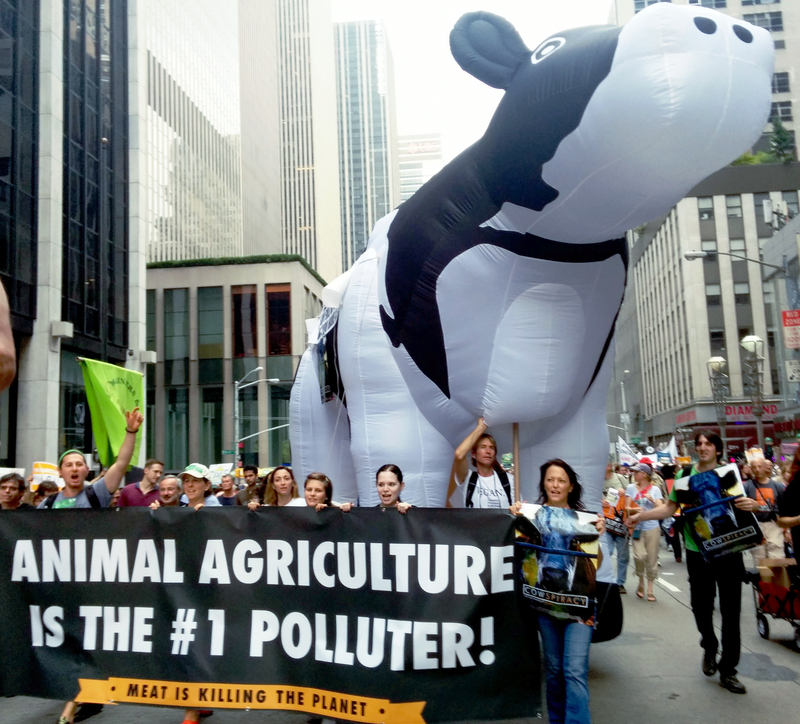 Meat Climate Change explores the relationships between diet, meat consumption, and carbon emissions, illustrating the ways that today's most pressing environmental issues are connected to increasing rates of animal consumption. Moses is in the process of publishing more than a dozen articles from his book for free online and within the next year he aims to publish the text in four different languages. Community Development in Northern Malawi. Pastor Francisco Mkanani Mwambila is a passionate community activist and the founder of Tutulane in Northern Malawi's Rumphi District. Through the Tutulane Soap Making project, Pastor Francisco is providing 30 widows, young women, and local youth with the equipment and training they need to start their own soap making cooperative. The Tutulane Soap Making project will help impoverished community members become financially self-reliant while teaching them skills they can use for business management and future community development initiatives. 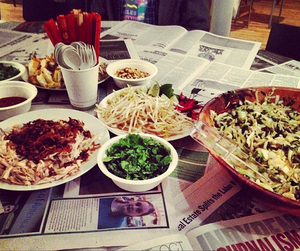 Documenting Sustainable Food Practices in Vietnam. 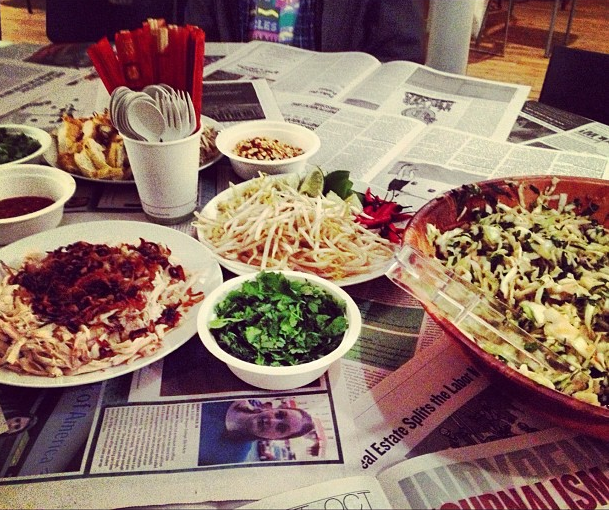 Võ Hải is a committed food justice activist working to promote humane and environmentally-sound food consumption and production practices across the globe. In his project, Về Nhà (Returning Home), Võ Hải will document and interview Vietnamese farmers, cooks, and producers who are reclaiming traditional gastronomical and food production systems which integrate communities with their surrounding ecosystems. The interviews he performs will be compiled into a Vietnamese People's Farmers Almanac and a Vietnamese People's Cookbook. Playwrights Bring Gendered Social Inequalities to Life in Montenegro. Senka Domović Bulut is working closely with Director Sladjana Vujovic and the non-profit Urban Nova to bring the struggles of contemporary women in Montenegro to life on the stage. Their production, Waiting for Goda, will explore the intersections of social inequality and gender in Montenegro through an open-ended production that allows for actor-audience interaction. Following performances, audience members will be invited to participate in workshops examining the prejudices that women face on a daily basis, as well as the strategies they use to overcome them. Caring for Homeless People in Victoria, Australia. 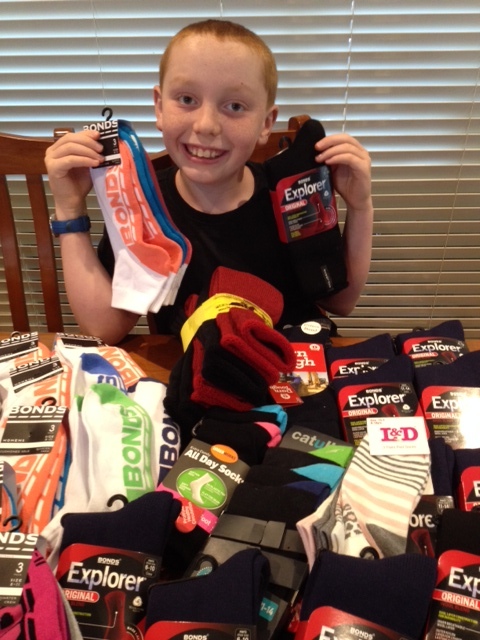 After speaking with homeless members of his community in Victoria, Australia, nine year old Joshua Berry founded 2 Pairs Each with the help of his parents and older sister. 2 Pairs Each provides hot meals and socks to homeless individuals in order to stop the spread of serious skin infections and reduce the risk of frostbite. Additionally, through his program Joshua educates members of his community on the facts and issues surrounding homelessness in an effort to put a human face on a growing social issue. Do you want to be part of a movement of all that is good in the world? Please join us as a daily giver or apply for a grant yourself!